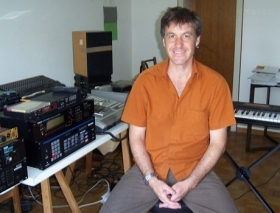 Niki Reiser is well known to all enthusiasts of film music in Europe. 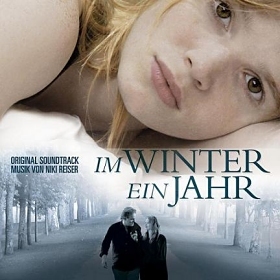 Swiss composer became recognizable through his beautiful music for the "Beyond the silence", by german director Caroline Link, which in 1998 was nominated for an Oscar. His scores for other Link's movies like "Nowhere in Africa" (Academy Award for "Best Foreign Language Film") and "The White Masai" confirmed his position as one of the most interesting european composers - in beautiful and unexpected way he merged the classical, orchestral lyricism of a European orchestra and the authentic African folklore. 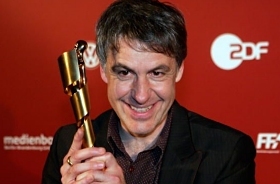 For all his scores Niki Reiser won two Bavarian Film Awards and five German Film Awards. His recent accomplishments include such films as "A year ago in winter" or "Mein Führer". It is my pleasure of invite all readers of MuzykaFilmowa.pl to read an exclusive interview with Niki Reiser. Łukasz Waligórski: Let's start from beginning. Why did you decide to be a composer? Niki Reiser: When I was a little boy, the piano always attracted me as a playground for fantasy. I learned how to play flute as a boy, but the piano was the place, where I invented my own music. So becoming a composer was not a decision, it just happened. Did you want to score movies from the beginning? As a teenager I was mostly into writing music for my alternative pop bands and I did not think of film music. But when I studied in Berklee College of Music in Boston to become a jazz flutist, I more or less stumbled into Film Scoring, since it was the most interesting studies program at the school. You studied jazz in Berklee. Does your jazz experience help somehow in composing film music? I'm asking because I love jazz, but for me it is complete opposite to film music. Scoring is based on synchronization and planning of every note - jazz is freedom, improvisation. I think jazz is a great help for scoring films, because in jazz improvisation, one needs to be very flexible, melodically and harmonically to react on the music, live on stage. While improvising, you always have to come up with musical ideas and solutions within seconds and this helps to be open and flexible with ideas while composing music to film. Is it true, that you met Ennio Morricone? Could tell about it? Did you learn something from him? I was in a workshop, where everybody had to score the same scene and I always commented the images with taking breaks in the music, but Morricone told me to just let the music have it's own rhythm and flow and not be the slave of the images. I always remember those words when I write music to film. 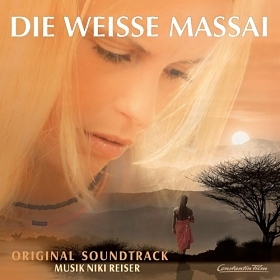 You scored two movies with Africa in background – "Nowhere in Africa" and "The White Massai". Both scores are excellent! How did you get on scoring "Nowhere in Africa"? Could you describe the process of composing this music? The process to write "Nowhere in Africa" was very painful, since I did not come up with musical ideas for weeks and I begged the director to fire me from the job. She said, "ok I let you go, but please write a little melody for me, since we have a screening tomorrow and I need some music there and then you can go". Being relieved I suddenly came up with a little melodie (Regina's Melody), that helped me to complete the whole score. In "Nowhere in Africa" you're using lots of original, indigenous, African singers. How the process of merging their singing with your music looked like? Did you actually travel to Africa, recorded them singing and then composed music around this material, or opposite – you recorded your music first, and then the African singers improvised around your compositions? For both African films "Nowhere in Africa" and "The White Massai" I went down to Africa to record people right at the place where the stories took place, while they where shooting the films. So I was sure, that the music is really authentic with the people. All the singings in "Nowhere in Africa" comes from the people you also see in the film. Afterwards I wrote the orchestral music around my African recordings, which was of course a great inspiration. For me this score is a beautiful bridge between Africa and Europe. I also have impression that you incorporated some ideas from Jewish music into "Nowhere in Africa". Would you agree with that? I used the jewish elements to describe the drama that took place in Germany while this jewish family lived in Africa. Since one could not see the images of the second world war, the music had to transport the homesickness and the fear for their family far away from them. Four years later you scored "The White Massai". That's your most well-know movie here in Poland. What was your main challenge during this movie? How did you manage to make it sound different than "Nowhere In Africa"? Since the story from "The White Massai" takes place in the 1980, I tried to make the music sound more modern. It is more based on grooves. I traveled trough whole Kenia to record at all the places where the main character was, so I had music from almost all the the different places in Kenia. Then I let the original African music inspire my orchestral compositions. The music describes the cultural clash between the European and the African, but mostly it is written from the viewpoint of the European woman, that is first fascinated by the African and then more and more also frightened by it. You won German Film Award and Bavarian Film Award for your score to "Beyond the silence". The definition of sound and music, its role in people's life is essence of this movie. How demanding musically was this movie? What were your challenges and issues during scoring "Beyond the Silence"? The greatest challenge in wrtiting the music for "Beyond the Silence" was to find a melody, that is so beautiful and haunting, that a little girl is so much attracted to music, that it decides to become a musician, in spite of the fact, that her parents are deaf. The music had to lead the little girl into her own world. I was composing melodies over one year, until Caroline Link, the director finally accepted the main theme for the movie! I wrote my main theme on piano and then Caroline Link asked me to play the theme on guitar, so the Santaolalla effect happened by coincidence. The challenge of the film music was to write a music without real melodies, since it has to describe the pain within the characters. I did a lot of effects on the piano by plucking the strings to describe this painful feeling. The Tango was also a coincidence, since the director wanted to have music from a CD player as a background and she wanted a modern Tango from me. "My Führer" is one of the comedies you've scored. What's the key to composing music for the comedies and how can music change its sense of humor? The challenge of writing for comedies is to not only write funny music, but also find a good balance between melancholy, wit, in the case of "My Führer" also fear and tragedy and of course tempo. Usually the music should give the emotions to comedies. How do you compose? Do you use only piano, paper and pencil or is computer your main tool? Normally I sit down at the piano to find my main ideas, but then I transfer it to other instruments or to the computer to orchestrate the music. If the music comes more from a sound aspect, I start at the computer right away. But my main goal for a film is mostly to find the first 5 notes at the piano. Are you familiar with polish film music composers? I am a big fan of Komeda, the former composer for Polanski, who was also a jazz musician and always had very original ideas. Of course I also admire Preisner, Kilar and Kaczmarek. They all are big voices in film! If not a composer, you would be...? If I was not a composer, life would be much easier, but it would also be more boring! Probably I would be a teacher. What are your future plans? On what projects are you working now? Right now I am working on a drama called "Das Blaue Vom Himmel" (working title) by young director Hans Steinbichler and as always I am pretty desperate right now, since I have not come up with the right musical ideas yet, but hopefully will feel better in some weeks! Thanks for all answers and your time! Good luck with new projects!